This weekend we have celebrated a big birthday for Mr S with his family. 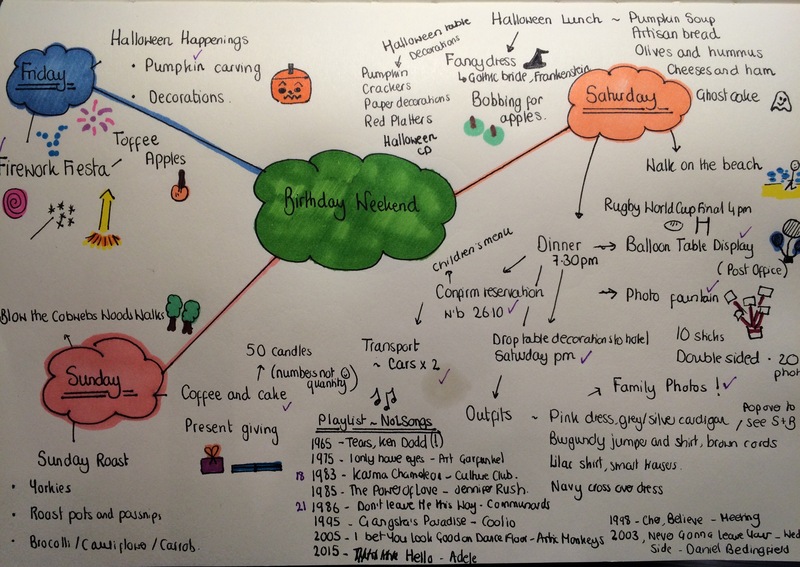 As you can see from my mind map (my preferred way of planning, I like to doodle and colour!) it’s been a busy but brilliant weekend. I’ll let the mind map do the explanations of our celebrations as I am too exhausted to detail all we have done. I hope I’ve helped to make it a very special weekend for my very special husband and for those who joined us too.